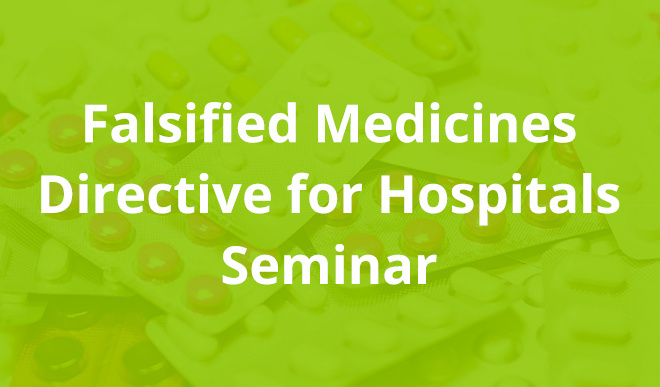 Falsified Medicines Directive for Hospitals Seminar Nár. org. pro ověřování pravosti léčiv, z.s. The informative seminars related to Falsified Medicines Directive took place on 31st October and 23rd November 2017. Basic information as well as specifics of processes in pharmacies and hospitals from FMD point of view were presented. The seminars were intended for representatives of hospitals, hospital and general pharmacies who, according to the European Parliament's Directive 2011/62 / EU, also known as the Falsified Medicines Directive or FMD, are the subjects of the whole solution that should anable the identification and the authentication of medicinal products in the national system. The representatives of the National Medicines Verification Organization (NMVO), SÚKL, hospital pharmacists and Porta Medica provided all seminar participants with important information concerning the upcoming system that, starting in February 2019, shall make it possible to verify the authenticity of prescription medicinal products via a two-dimensional code. The seminar mainly informed the participants about the role of individual entities, the drafted legislation and its impacts - with special attention to hospital and pharmacy proceses and the current status of the project. Awareness of the market about the discussed matter was briefly presented at the end of the seminar. We would like to thank all participants for their active approach and we trust that the presented information shall facilitate the implementation of the entire project. Video recording and presentation were created. Due to the fact that both are in Czech language, for viewing please switch over to the Czech language web version.